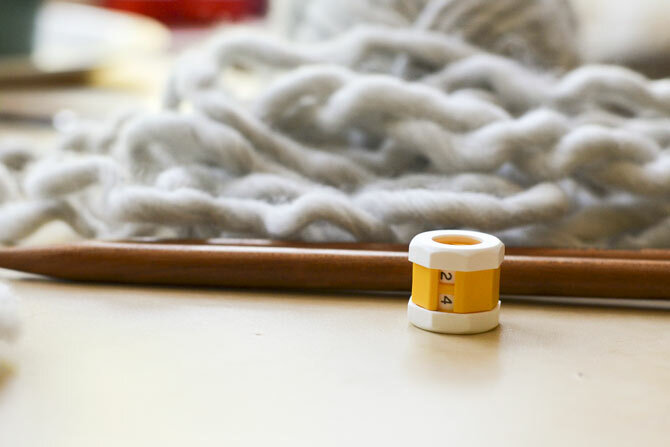 Swatches will help measure gauge, but also show you how the yarn looks and feels. 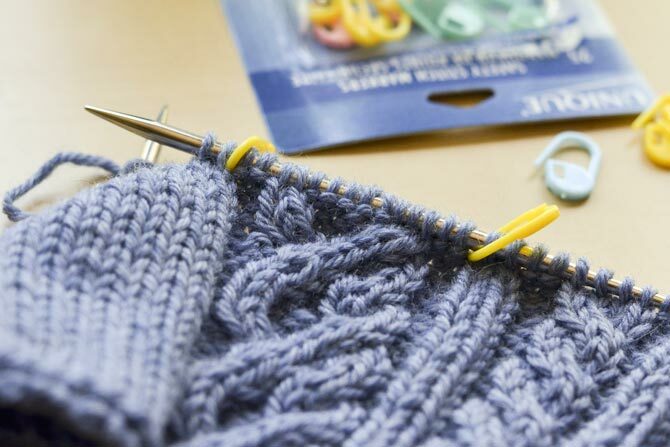 This week on the blog has been all about simple tools and tips to help you make the most of your knitting time, no matter how complex or easy your project may be. The real value of these tools is that they help you with learning from our knitting. Stitch markers placed on either side of your stitch pattern can help tell you whether you have accidentally added a stitch, or decreased where there shouldn’t be one. 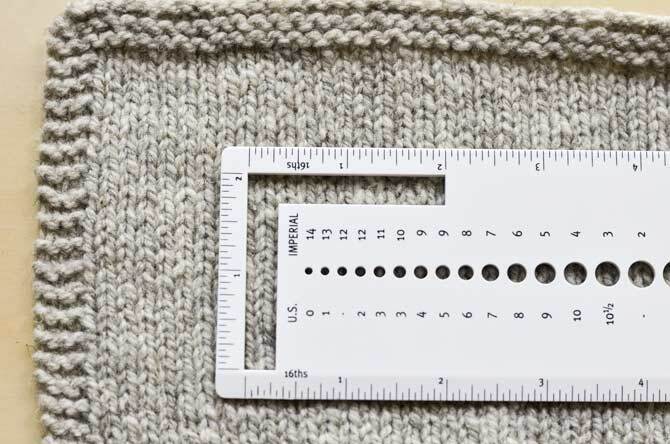 Knitting a swatch will help you measure your gauge, but also give you a sense of how the yarn feels and looks when it is knitted up into fabric. Gauge rulers, whether fancy or simple, can help you figure out whether you need to change your needle size. And tracking your progress in your pattern might be as simple as using a row counter, or figuring out your own shorthand to write down in the margin of your pattern notes! (This is one of the reasons I still love printing out my patterns on paper, even though the digital age is upon us). So helpful, yet so tiny! Many of our challenges as knitters are eventually solved by simply getting a lot of practice at it. In other words, as we keep knitting, we will get better. Our tension starts to become more even and more predictable. We get more comfortable with reading pattern instructions and reading charted patterns. We finish a few smaller projects and then start thinking about bigger or more complex ones, like sweaters or lace shawls. This is what I love about knitting – there are always more skills to learn, and more projects to cast on. If you’re a beginner knitter, try not to be too daunted by all of these options. 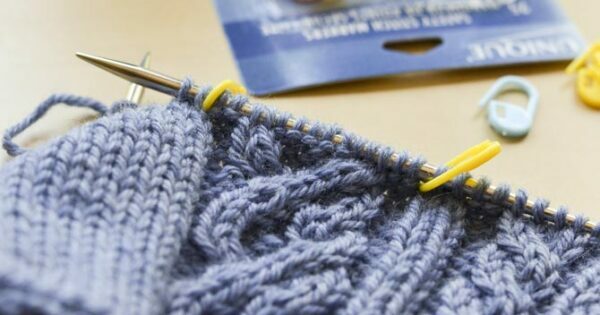 All of us make mistakes at some point, and experienced knitters will tell you they haven’t stopped making mistakes – they just make them faster! Every project is there to teach us something, or to help reinforce skills you already know. In the beginning it feels like we are constantly learning all the time. Stitch markers never run out of uses. No matter what skill level you are at, be patient with yourself. Let yourself enjoy your knitting when it is going smoothly, and when you make mistakes remember that, if worse comes to worst, you can always pull it out and start over again! There aren’t many other crafts that would let you do that, but knitting has a great advantage that way. Learning from our knitting is something we are always doing!